Create Facebook Ads dashboards to track your paid social media marketing KPIs and metrics. Develop custom dashboards using Facebook's Ads Insights API or use pre-built metrics and dashboards to get value fast. Combine your Facebook Ads data with services like Facebook, Google Analytics, Salesforce, and more to build dashboards. Create sophisticated Facebook Ads dashboards by querying your data using the Klipfolio data connector. Use a pre-built query or craft your own. Share your Facebook Ads dashboards on TVs throughout your office and give your team visibility into your paid social media marketing efforts. Use the Klip Editor to design and build custom visualizations using your Facebook Ads data. Instantly track your Facebook Ads performance by using a pre-built dashboard. This has been built to surface advertising KPIs like CPA, CPC, Conversions, and Impressions. Compare cost per impressions and cost per 1000 people reached over the past 7 days. Compare your Facebook Ad impressions with reach over the past 7 days. Make sure your Instagram Ads are attracting attention. Drill down and get detailed metrics on each video campaign by clicking on an Ad Set name. Is your campaign on budget and meeting your conversion targets? Make sure your message is reaching the right audience by monitoring your Facebook Ads campaign performance for the date range and campaign of your choice. Drill down into today's campaign metrics and monitor your Facebook Ad objectives. 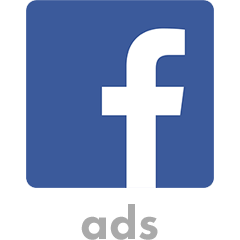 Track your Facebook video campaign placements so you can optimize your ads, costs and views based on device. If you’re a Facebook advertiser, you know the importance of tracking your advertising performance in real-time. Key metrics like Cost-per-Click (CPC), Cost-per-Action (CPA), and Conversions can change quickly. Track all campaign types in one dashboard to view page likes, website clicks, conversions, and app installs.